“If you are going to change your life, you need to do things differently. Sometimes, inspiration comes as a person and other times, a book can become your motivation. Stepping out of your comfort zone is the first move and then other pieces start to join themselves. Misery, pain and discomfort will come in your way and once you have steel-heart determination, nothing stops you. 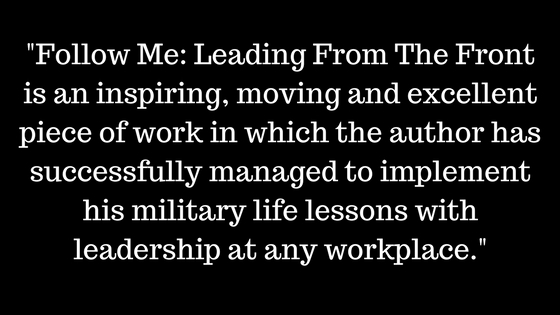 Follow Me: Leading From The Front is an inspiring, moving and excellent piece of work in which the author has successfully managed to implement his military life lessons with leadership at any workplace. There are times when you have to stop being the part of the crowd, when you have to take the responsibility on your shoulders and move on with confidence. This is what Follow Me teaches you. To develop the ability to tell your employees to Follow You even in the diverse situations. Reading Follow Me: Leading From The Front worked for me as a personal and professional development tool. You have the power to control your life, you are the master. With Follow Me the author has fabricated many examples from his career in military that fits perfectly in any other field. The narration is straightforward and spreads positivity. You can read Archit’s full Goodreads review here. “Follow Me: Leading From The Front can inspire ideas and way of thinking into a better, progressive and productive manner. It teaches the reader to not only live without any regret but also it motivates to be fearless, to be brave even in the adverse situations that will make life meaningful and memorable. Making good decisions and how important they can be were the other life lessons that it taught me. Sometimes, tragedies are inevitable. You can’t do anything about them but the brave thing is to come out of the dilemma and overcome our fears. Follow Me does that very well. I was really impressed seeing how the author has written his life experiences at the military services without any reservations. Sometimes he talks about his achievements and other times he speaks about the mistakes that he could have avoided. I read the book exactly when I needed to read something like this and I must say that I feel motivated to implement good habits into my life. The writing was lucid and frank. I thoroughly enjoyed reading it. I thank the author for sharing his life events in such a vivid and inspiring way. 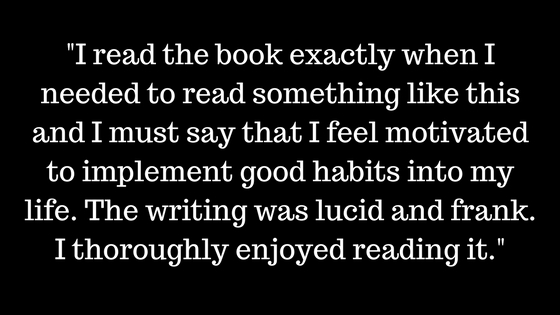 You can read Pooja’s full Goodreads review here. Follow Me: Leading From The Front can be purchased online here and can also be found in bookshops across Ireland and the UK.